Youssef CHAHINE (1926, Alexandria, Egypt) left Egypt in 1948 to study cinema and dramatic arts at the Pasadena Play House in the United States. After his return to Egypt, he turned his attention to directing and he made his first film, Baba Amine. Chahine has made a name for himself as one of Egypt's most important directors and has realised more than forty films. By the great director of Egyptian popular cinema. About a young woman who rebels against the corrupt police chief who has an eye on her. A screenplay filled with opposites results in a socially critical, colourful sketch in which justice is victorious. 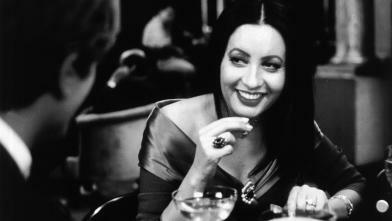 Intelligent mix of melodrama and comedy by the master of Egyptian cinema. Lightly ironic portrait of the Egyptian world of showbiz is also a subtle reflection on social inequality, with regular singing and dancing. Grand historic epic about the problems faced by the medieval philosopher Averroës in Moorish Cordoba is a topical and humane plea for freedom. The film, which is known internationally under the title Cairo Station or Gare Central, was interpreted in 1958 by press and public as an insult and the première turned into a scandal. The film provides a warts-and-all picture of the life of young people in modern Cairo and that was not appreciated. These days it is regarded as a classic of film history, but Chahine is still seen as the enfant terrible of Middle-Eastern cinema.Chahine fits in well with the Cinema Narcissus theme because he acts in his films, but also because his films are autobiographical. Iskindiriah kaman oue kaman / Alexandrie, encore et toujours (screened last year in Rotterdam, and hence not this time around) was the completion of such an autobiographical trilogy in which he acted himself.Chahine does not regard acting just a body or a face, but a total personality. That is why he thought that in this specific film, the actor (himself) could not be exchanged for a different one. He wanted to surrender himself totally for this film and his way of stressing this was to put himself on the line, literally. In Le Caire, Youssef Chahine sketches a personal view of Cairo as he shows his home town to a foreign visitor. All the registers are opened to capture the intensity of the colourful and complicated city in pictures. Chahine was given a completely free hand by his client, the French TV station Antenne 2, during the production. In Egypt the film provoked angry reactions. Chahine was accused in the media of confirming western prejudices about the Arab world in this film made for Europe. 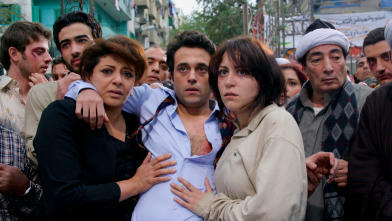 Most critics who were angry had not seen the film, so Chahine organised a screening in Cairo where more than 1500 journalists turned up to watch it on a television screen. The reactions were completely different: Chahine was praised for his attempt to show the real Cairo.Chahine himself faces the camera as the narrator, but the film also follows a kind of guide, an unemployed actor criss-crossing the city in search of work. On his quest he visits the film school, the university and the studio where Chahine really works himself.Chahine is mainly interested in people. In Le Caire he didn't want to make a film about the 'stones', but to express his love for the people of Cairo.